Explore the Doppler effect in a binary pulsar system by downloading "Pulsating Science", an interactive 3D visualisation software. 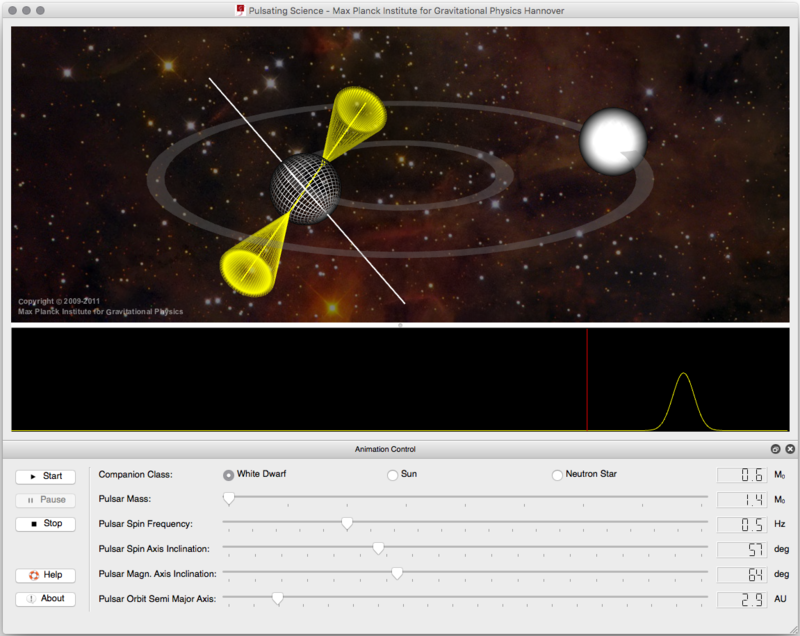 Generate, view, and modify binary pulsar systems and their radio pulsations. The picture on the right shows a screenshot from this interactive simulation.